Custom systems are our specialisation! 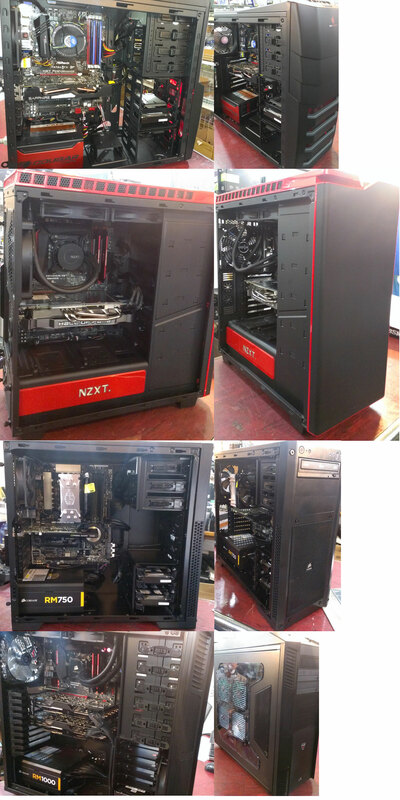 Our experienced technicians are constantly installing the latest and greatest computer systems exactly to our customers particular specifications! There are 3 ways to go about designing your own customised systems. Go to our preconfigured "Systems" category. Find one of the systems listed there that closest meets your needs. Once all the items are in your cart you can completely modify them as you choose (or are confident enough to do so , please email our sales if you require any advise). Select items you want removed and click update, or add items by browsing through our category listing and clicking on the Shopping Cart icon for the part you wanted. To get us to install and test the system for you , go to the service category and add the installation options. Email us your desires/requirements and general budget and we will do up a specialised quote for you! Systems usually only take 1-2 business days to fully build and test (provided parts are in stock, we will email you availability before any payment commitment).